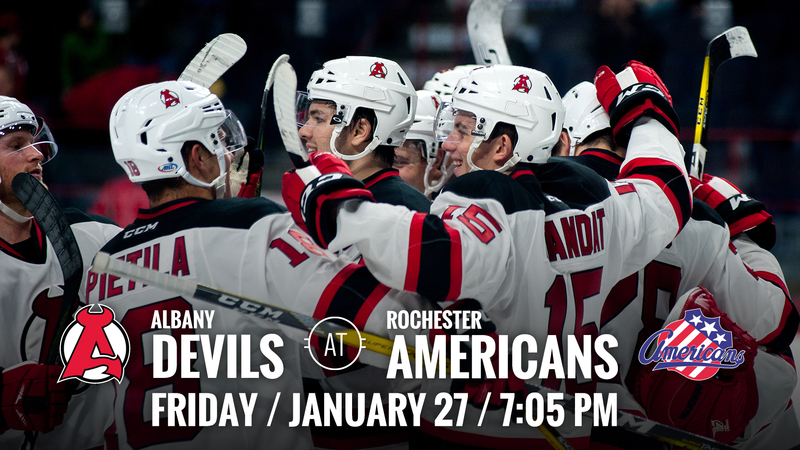 ROCHESTER, NY – The Albany Devils travel to face the Rochester Americans for a 7:05 pm puck drop Friday at Blue Cross Arena. 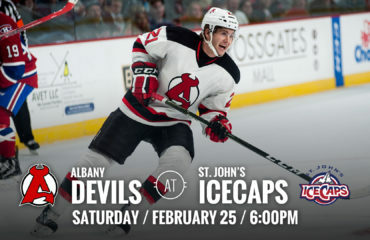 The Devils are coming off a 2-1 overtime road win Sunday at St. John’s. The Americans are coming off a 2-1 shootout loss Wednesday against Toronto. DIVISION MATCHUP: Both Rochester and Albany are in the North Division of the Eastern Conference. The Devils currently stand in second in the division with a record of 24-16-1-1. The Americans are in seventh place with an 18-23-0-2 record. 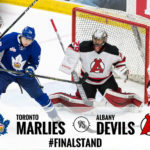 The teams last faced off on Saturday, Nov. 26 in Albany, where the Devils secure a 4-2 victory. PLAYER WATCH: On Tuesday, Jan. 24, New Jersey announced Yohann Auvitu has been activated off Injured Reserve and has been assigned to Albany. With Albany this season, Auvitu has earned three points (3a) in seven games played. In New Jersey, he has played in 25 games and has earned four points (2g-2a). 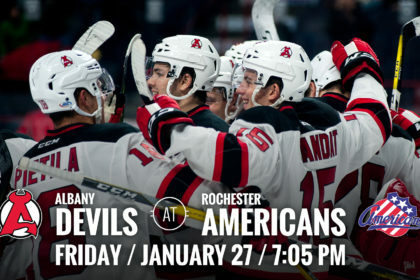 LOOKING TO WIN: The Albany Devils currently hold a 2-0-0-0 record against the Rochester Americans during the 2016-17 season. 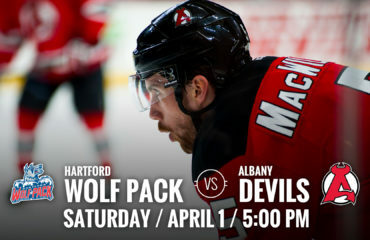 They have met previously on Nov. 16, where Albany won 3-1, and on Nov. 26, where Albany came out on top 4-2. 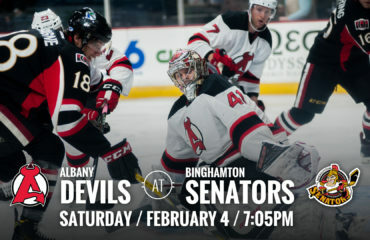 During the 2015-16 season, Albany’s record against Rochester was 5-1-0-0.